Ancient Egyptian Funerary Environment in the Treasury of Tutankhamun. 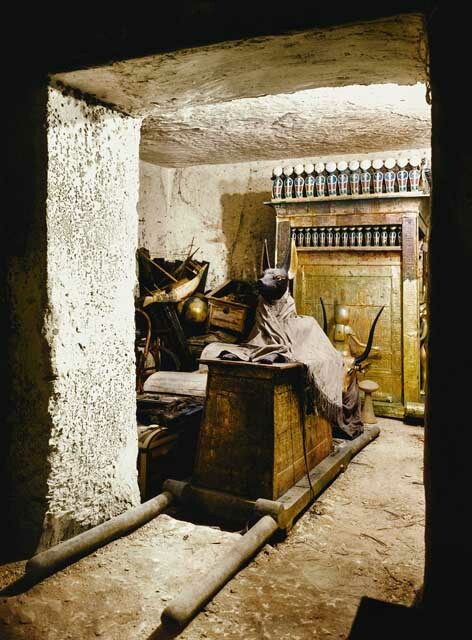 The tomb of Tutankhamun needs to be seen as an historical document. Nowadays everyone knows about Tutankhamun. His mummy, his funeral mask, his golden sarcophagus, his jewels, his spectacular furniture … are familiar to anyone. But this familiarity towards the figure of Tutankhamun and his tomb does not always mean true knowledge. Funerary Chamber of Tutankhamun. Image: National Geographic. The Tomb of Tutankhamun is a testimony. The objects are so spectacular that sometimes they have shaded its true meaning. These objects are more than just forms with precious materials. They are testimony to Ancient Egypt, its religion, its belief. 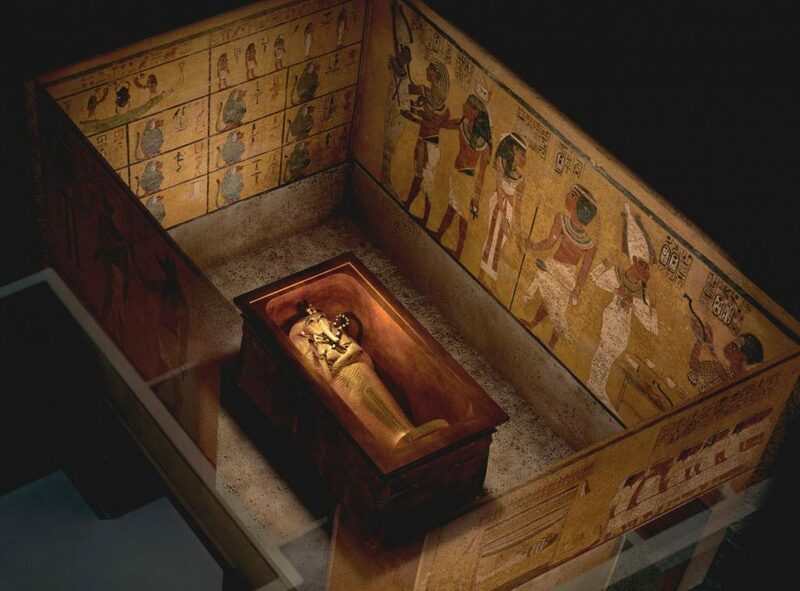 The tomb of Tutankhamun is a historical document with information on the burial practices of the ancient Egyptians and on their conception of the Hereafter. 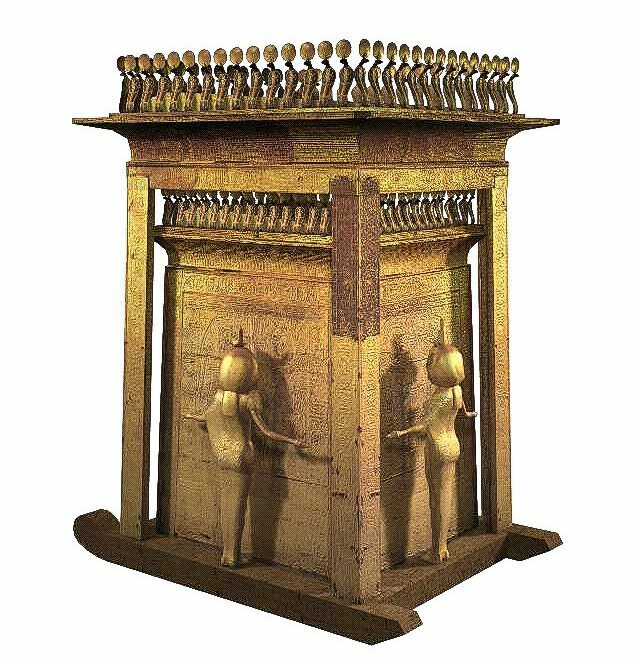 To discover this information we have to contemplate the treasure of Tutankhamun as an ensemble of elements together with the tomb conceived to ensure eternal life to the pharaoh. Thanks to the tomb of Tutankhamon we know that many objects deposited in the burials of Ancient Egypt followed a concrete order for a concrete aim. The meaning of Tutankhamun’s Treasure. The chapel of Anubis with the effigy of the latter. 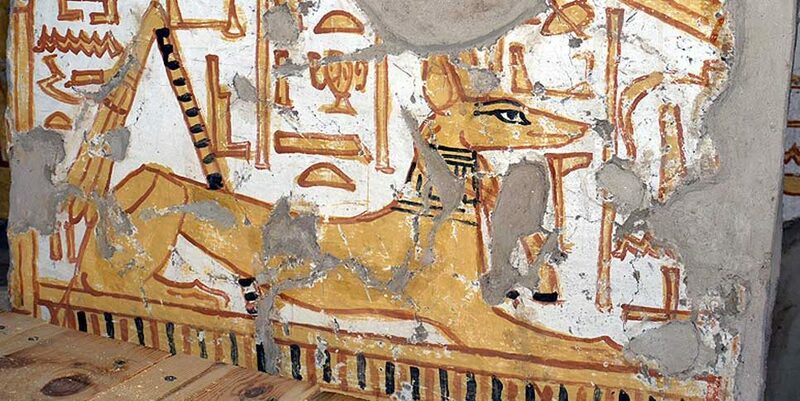 It was not Anubis bending on the corpse, as a god of mummification. 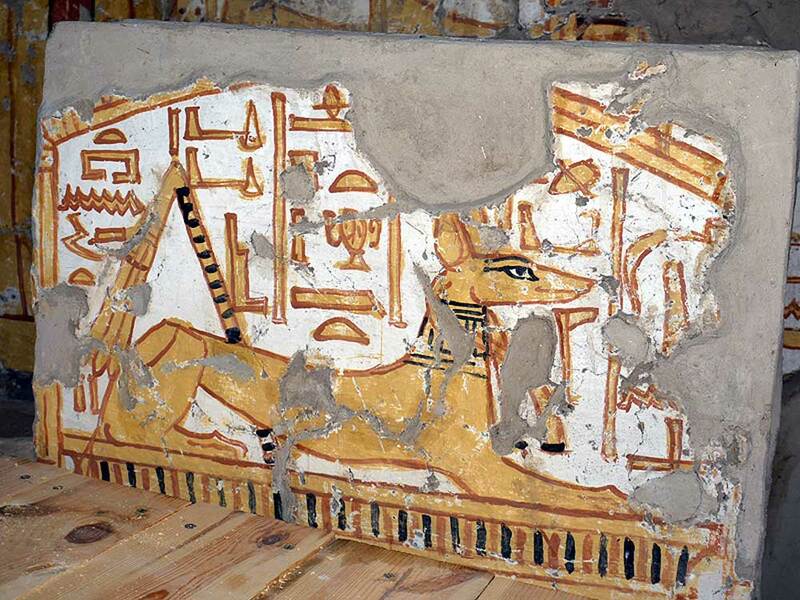 He was the reclining and watchful jackal god who, according to ancient Egyptians, protected the entrance to the necropolis. The bust of the goddess-cow Hathor. This female divinity had several connotations in Ancient Egypt, but in the tomb of Tutankhamun she was the goddess who welcomed the deceased in the Western Mountain; that was the place where the tombs were located, the world of the dead. 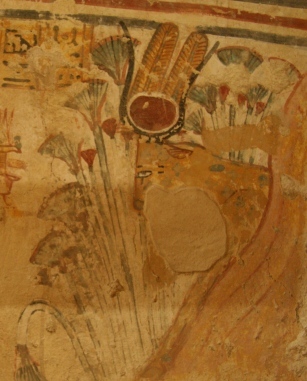 In Egyptian iconography was very common the image of Hathor in the form of a cow coming out from the mountain to receive the dead. The chapel containing the canopic jars, surrounded by the goddesses Isis, Neftis, Neith and Selket. These were four recipients, in which the viscera of the deceased (stomach, lungs, intestines and liver) were preserved. These four organs were protected by the four goddesses mentioned and constituted a second version of the corpse within the tomb. These three elements were perfectly aligned inside the treasure chamber: first Anubis, delimiting the necropolis, then Hathor, indicating the passage to the Western Mountain and finally the chapel with the canopic jars, evoking the burial of the pharaoh. As a whole these three objects in the Treasury of Tutankhamun described the sacred environment in which the king rested for ever, thus guaranteeing his eternity. Therefore are more than jewels of the archaeology. The tomb of Tutankhamun tells us many things, more than we can perceive at first glance. To discover them we must “read” the tomb, its iconography, its objects, its location … Only in this way will we understand its true meaning. Howard Carter discovered the forms, we have to discover the background. The Orientation of the Iconopraphy in the Tomb of Tutankhamun.